An essential measurement tool for process automation, quality control and tool automation control. High resolution, high speed laser displacement sensor (non-contact linear displacement sensor) utilizes the latest CMOS sensor technology that challenges even the most difficult measurement applications. 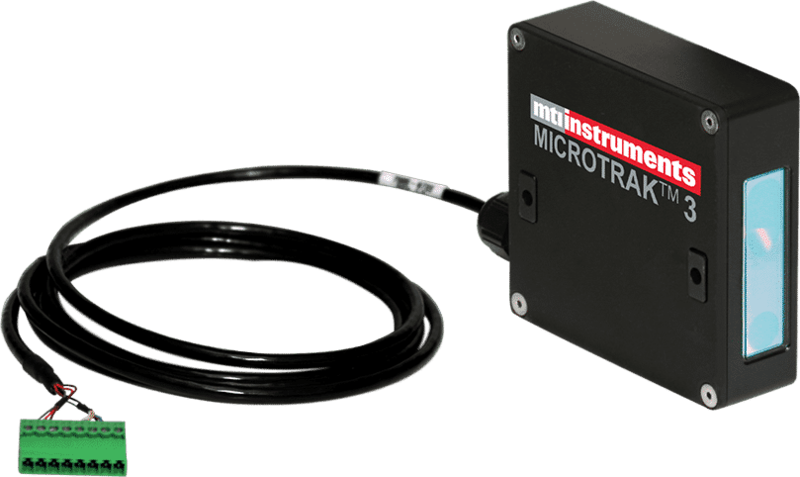 The Microtrak™ 3 is an essential measurement tool for process automation, quality control and tool automation control, for applications such as, thickness measurement, dimensional displacement, part profiling, vibrations testing, build-up measurement, and much more. Measurement rate of up to 40,000/ sec.